I will never forget Jordan’s extortion. A crisis started by an entirely unprovoked terrorist attack on the Temple Mount, deliberately escalated by the Jordanian Waqf, facilitated by the Jordanian Parliament and King Abdullah II’s rhetoric, culminates after Jordan trades an Israeli security guard it held hostage who was attacked by a Jordanian over a crisis started and facilitated by Jordan. While the big story escalated, while the Temple Mount where the Jordanian Waqf incites rage whenever a Jew prays, a smaller incident occurred in Jordan itself. At the tomb of Aaron, Jordanian police threatened Israeli tourists who were about to pray at the site. This evil. This anti-Semitism. This lack of respect and justification for debasing Israelis – Jewish, Druze and otherwise – undermines Israel’s reputation just as much as moral arguments about occupying the West Bank or building settlements or all these other things which never provoke the murderous rage we saw in riots last week or from the incendiary attitude of the Jordanian government in the last three days. Lives are not cheap, as the Waqf and the Jordanian king thinks they are. This cycle of rumor and incitement, going on for decades, is a profound lack of justice and heretical in the eyes of any truly God-fearing person, be they an Orthodox Jew, a liberal Jew, and every other religious congregation the world over. Lives are not cheap. A Jordanian parliament that mourns three murderers, two years after it demanded justice for the hatchet-bearing quadruple murderer in a Har Nof synagogue in Jerusalem, is not a parliament of an ally. It does not matter if that parliament is just for show, a way to feign actual representation in a non-democratic kingdom ruled by a yuppie. That is a representation of government. Israel again got the short end of the stick for the sake of saving a single life. Two Druze Israeli police officers slain on the Temple Mount. Three middle-aged and elderly Israeli Jewish civilians butchered at the dinner table. An Israeli security guard attacked with a screw driver who defended himself. The only Palestinians killed were either terrorists or people caught up in violent riots instigated by the Jordanian Waqf. This is a miscarriage of justice. This chain of evil must be broken. Israelis’ rights have been violated time and time again. And so we continue to resist. We resisted a threat to our foundation before the Six Day War, turning from the underdog to the power out of necessity. But we have never been given any reason to deescalate our armament, despite some Prime Ministers ill-advised attempts to give away critical elements of Jewish heritage and religion in agreements with a Palestinian Authority that celebrates the butchering of civilians and treats terrorists like saints. Do not forget what Jordan has done. Do not forget what Jordan has lent its support to. 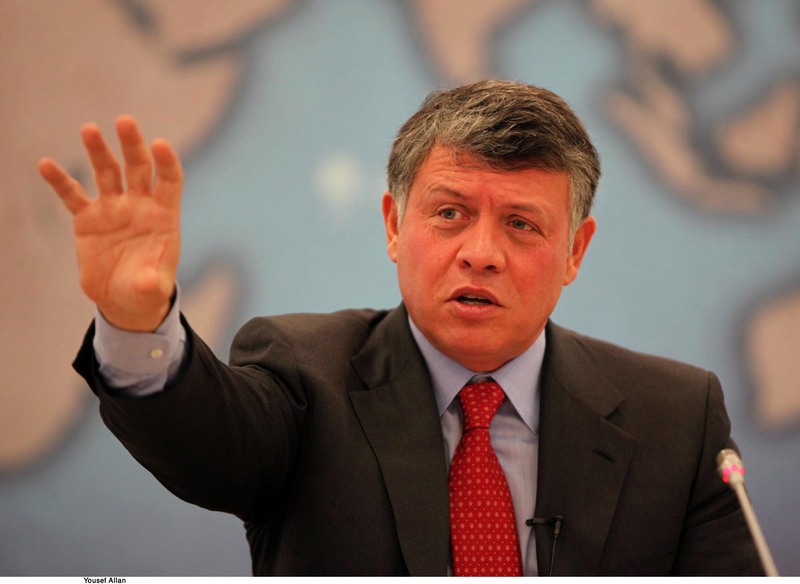 Do not forget that Jordan’s king condemns acts of terror with single, trite sentences and then spews days of incitement and vitriol against Jews’ simple desire to be connected to their sacred spaces. A king who pretends to condemn murder but winks at his parliament when they celebrate “martyrs” and demand “justice” for perpetrators. Meanwhile, our people are demonized for daring to arm themselves, for daring to install metal detectors in sacred spaces in order to keep them from becoming the scenes of gruesome butchery. I will never forget Jordan’s extortion. You should not either. My heart goes out completely to Israel. There have never been a more persecuted,more unfairly and cruelly maligned people in the world than the Jewish people,and yet in spite of the neverending evil and cruelty they are dealt with. They still maintain their humanity,compassion,and kindness by helping others,and coming to the aid of other nations and people in need.